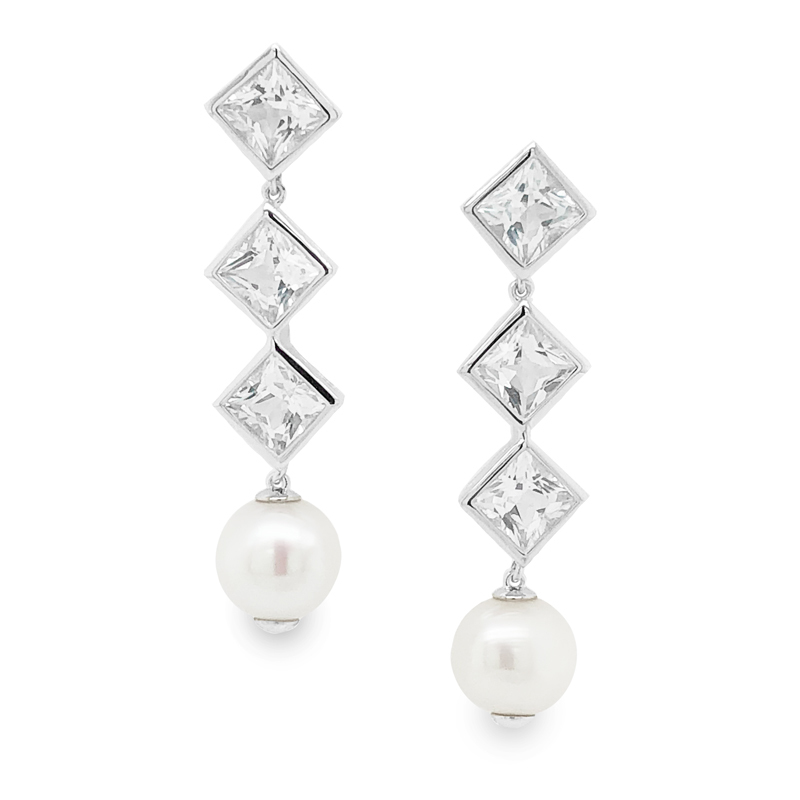 Isabella earrings are crafted of three square cut white topaz gems, bezel set in a highly polished 925 sterling silver, anchored by a lastrous white fresh water pearl. The added movement is created by introduction of tiny jump rings between some stones, allowing to showcase the brilliant light and shimmer of Topaz. 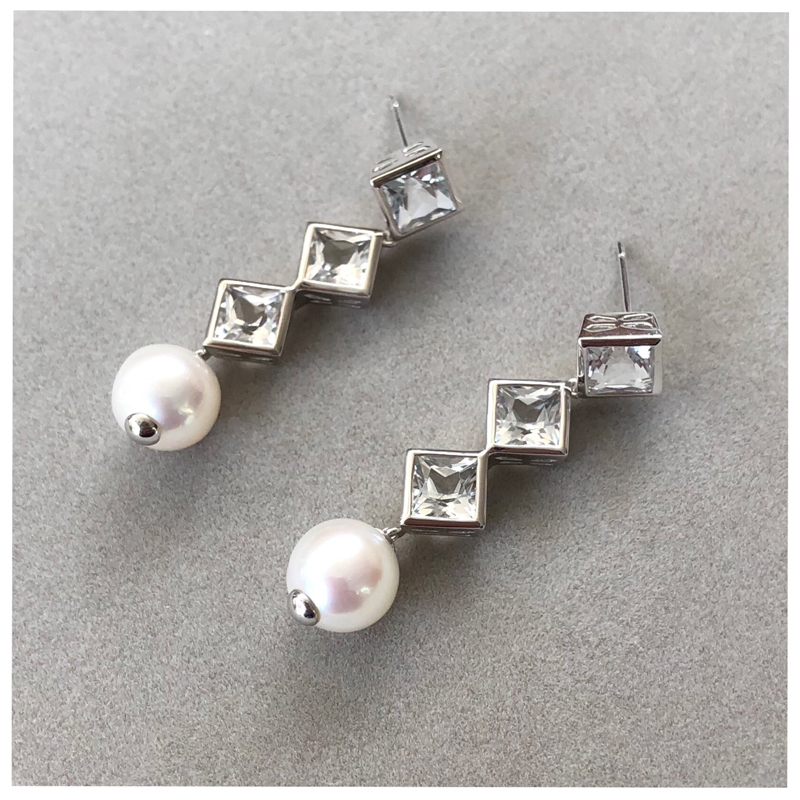 Learn here about the properties of Pearl.